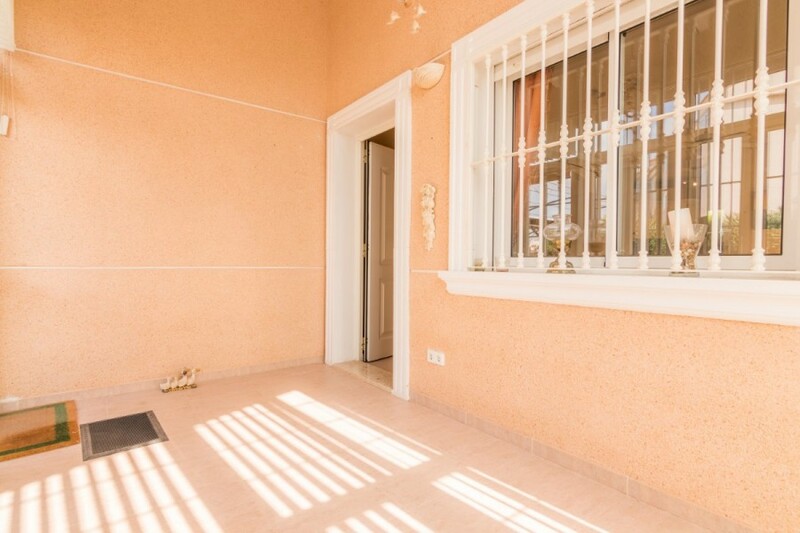 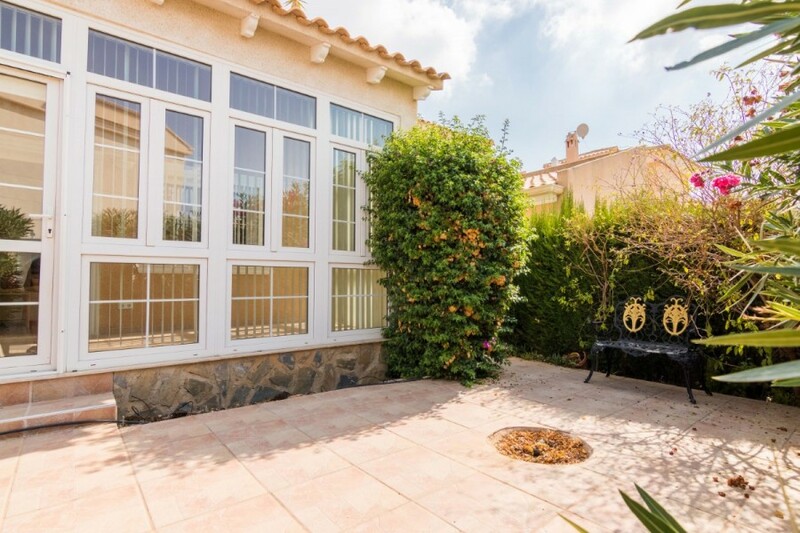 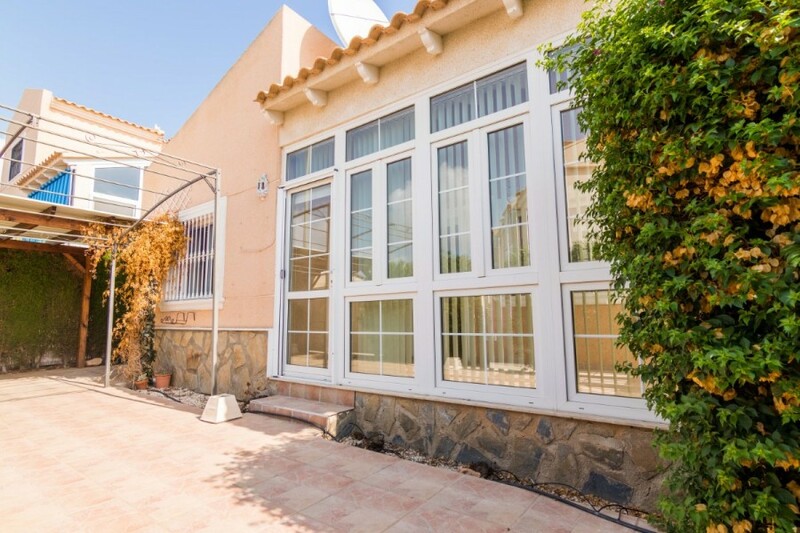 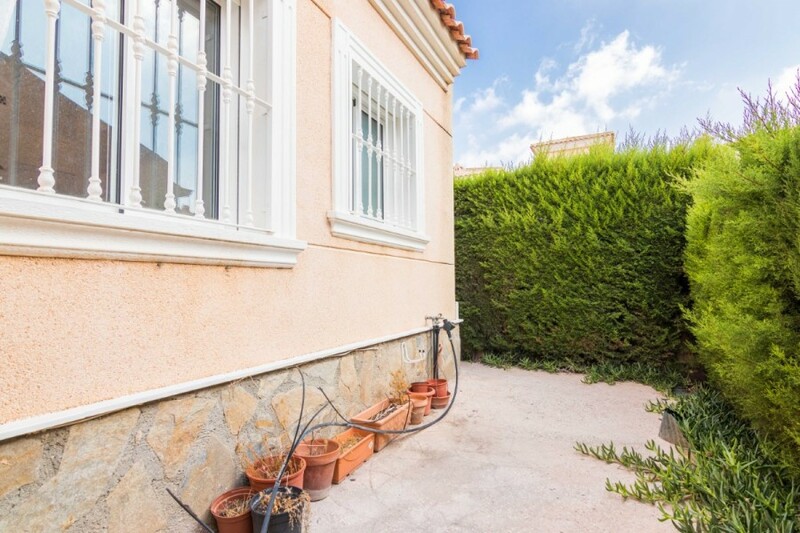 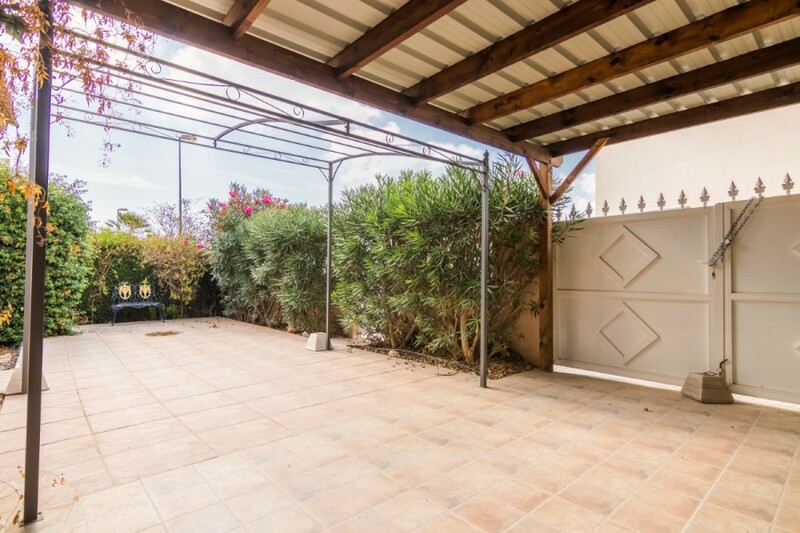 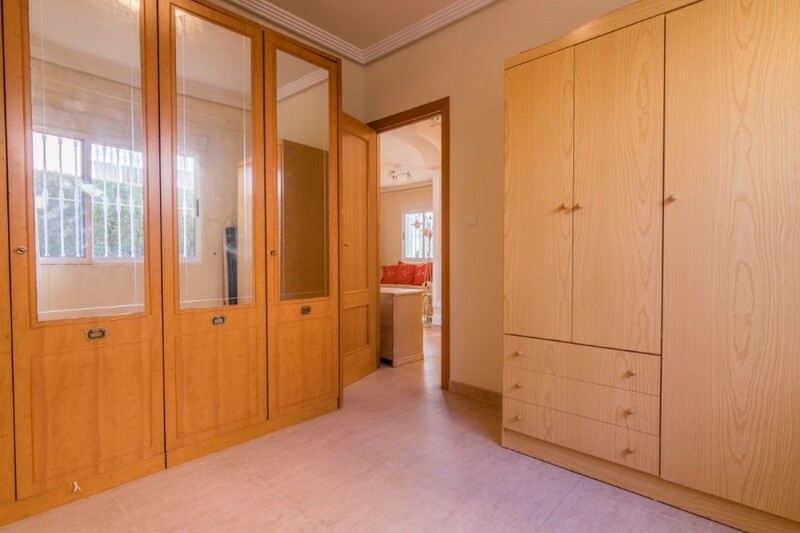 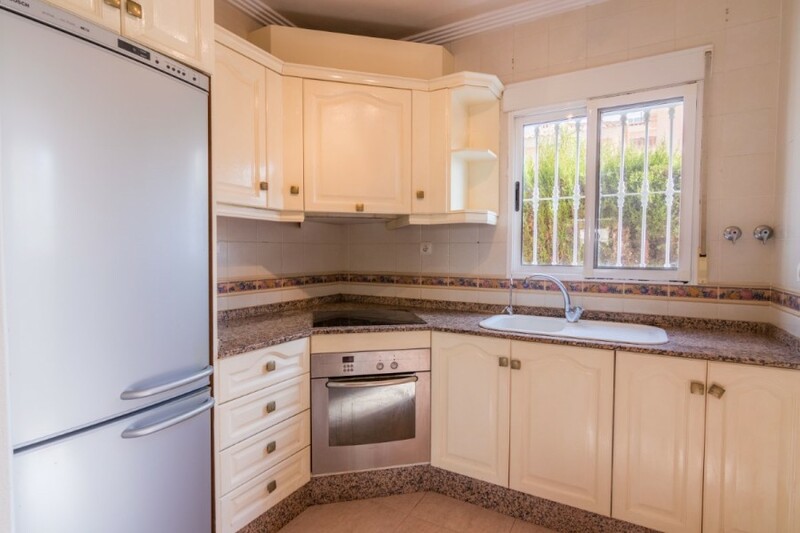 Well-equipped 70m2 villa in Los Altos, just a short walk from numerous restaurants, supermarkets and the Via Park III shopping centre. 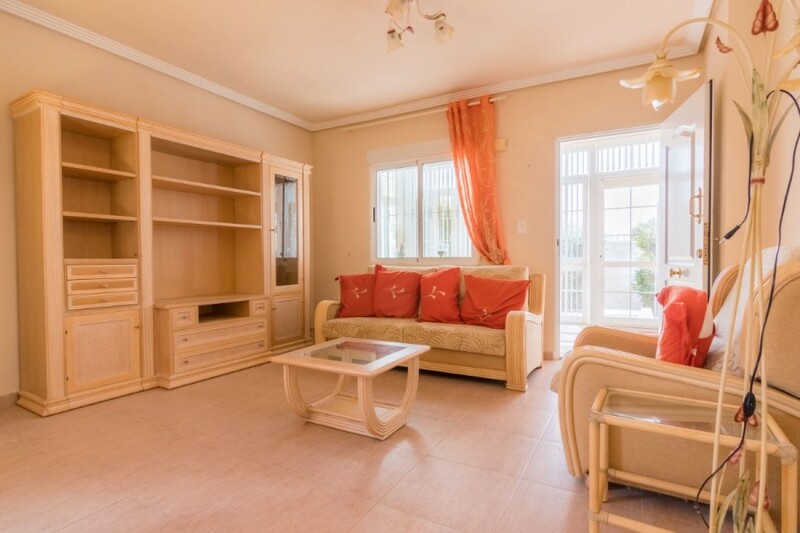 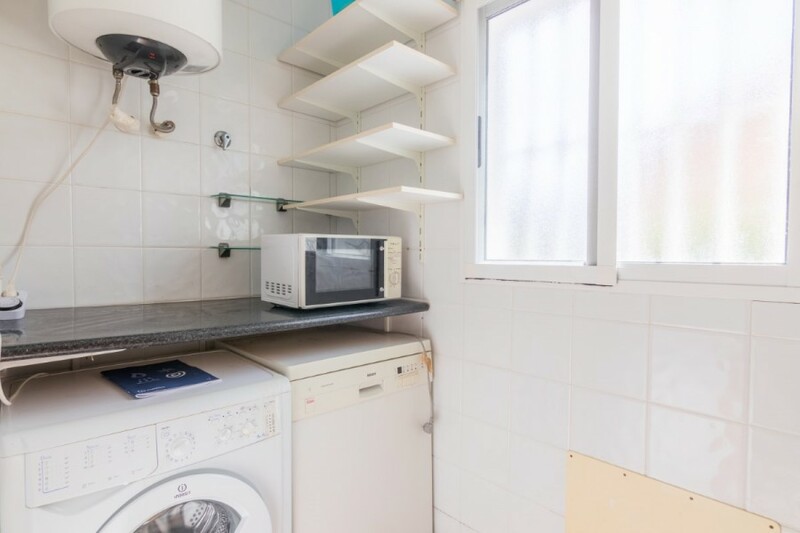 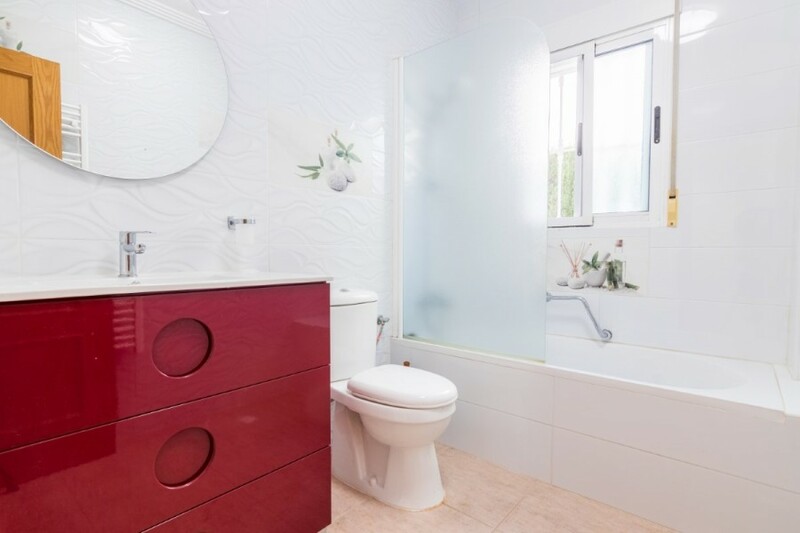 The property comprises of two double bedrooms (fitted wardrobes to the master bedroom), recently-renovated bathroom, fully-fitted kitchen with access to a small patio and open-plan living/dining room leading to a private paved garden that is large enough to install a private swimming pool. 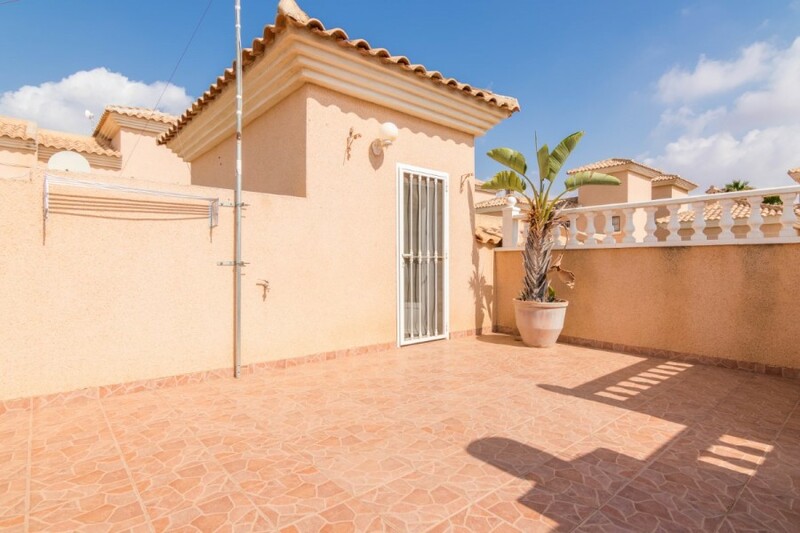 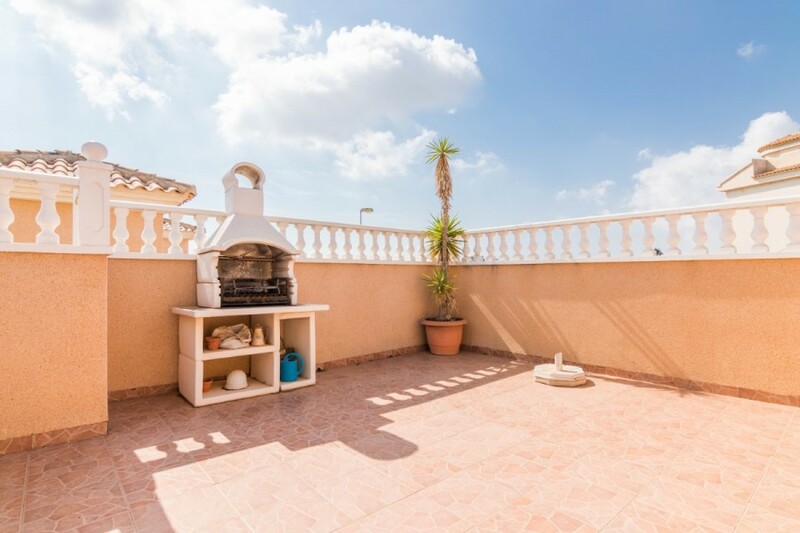 Stairs from the first floor lead to a private south-facing rooftop solarium, perfect for enjoying the Spanish sunshine. 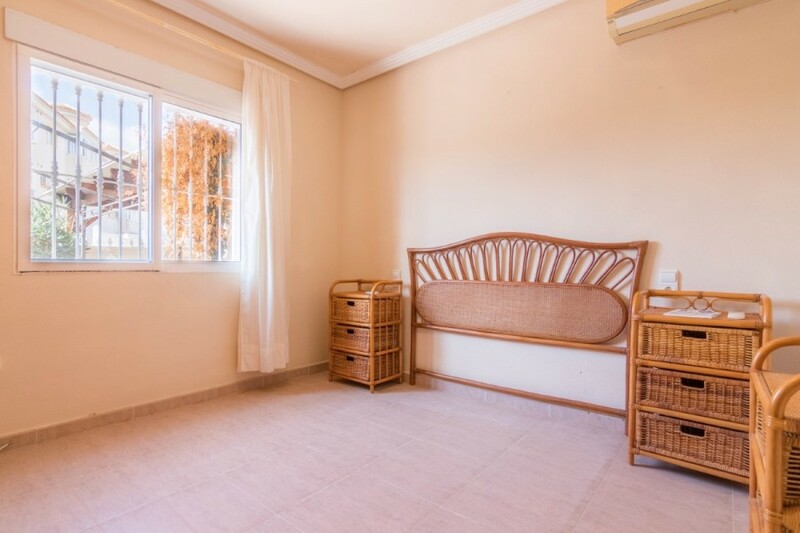 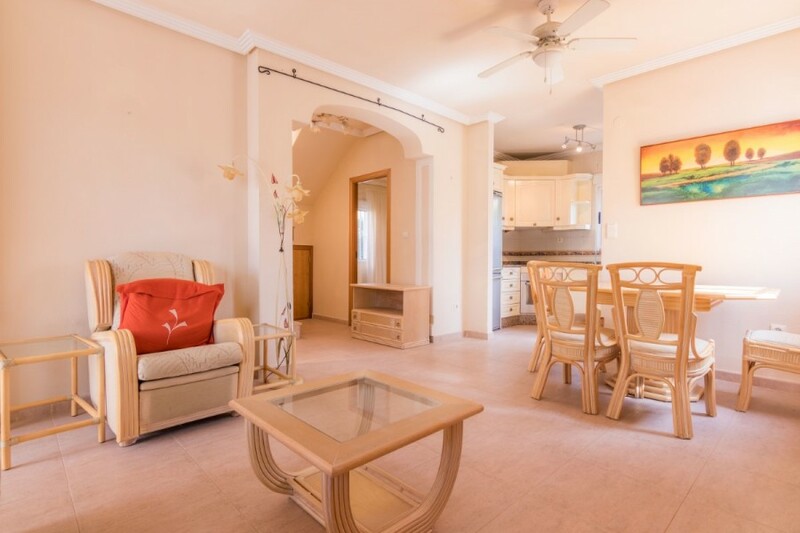 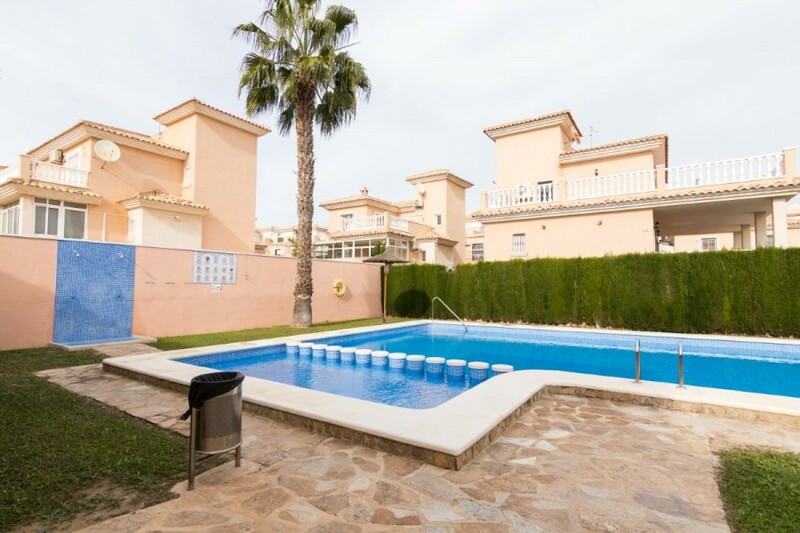 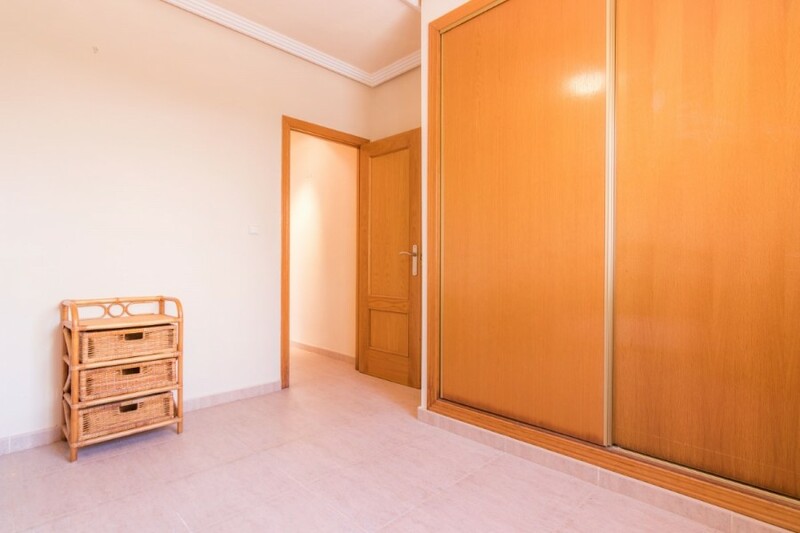 The property benefits from a communal swimming pool, whilst being only a ten-minute drive to the beach of Punta Prima and a few kilometres from the beaches of Cala Capitan and Mil Palmeras. 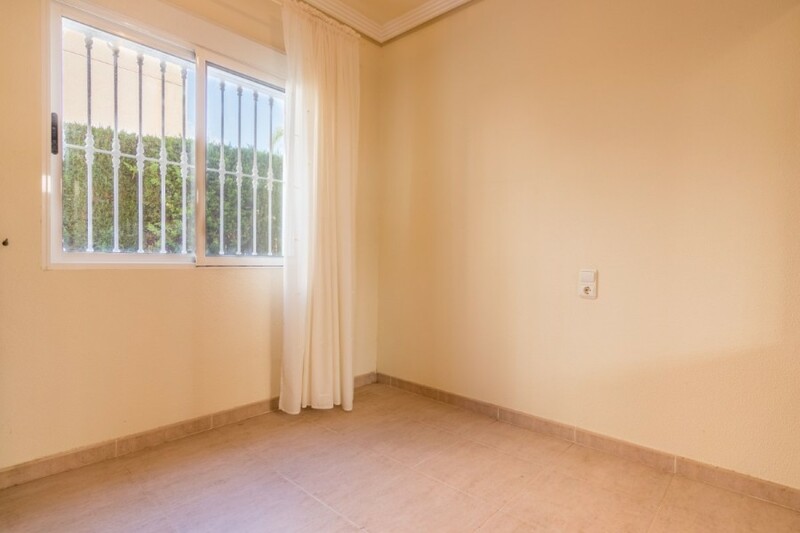 For those interested in retail therapy, you will find one of the largest shopping centres in Spain, La Zenia Boulevard, just four kilometres away.